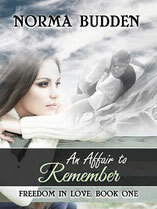 Published in December, 2011, this is the second instalment of my Freedom in Love Series, sequel to An Affair to Remember. In this story we get to interact with a few characters we met in the first book and are introduced to a few others. Monica and Chase are planning to get married. Chase tries to stay out of her way as she makes various plans, offering opinions only when asked. Deciding to give Monica a break, he opts to bring the kids to his father's for a week but they run into danger just a little outside their home city of Winnipeg. Ace Townsend is on the scene again. I can identify with him in various areas and, though I created him from my imagination, I feel I know him from somewhere. When I travel, I keep hoping to run into him somewhere. Strange, I know. Regardless, we see a married Ace and Emily Townsend, what eight years have brought into their lives - but Ace has a secret and, when his wife learns about it, she flees into the face of danger. Dee Fleischman, a private investigator, is running scared. Someone is threatening her. Deciding to visit a friend's house for a few days, she meets Jack Steele instead. What is it about this man that draws her attention? 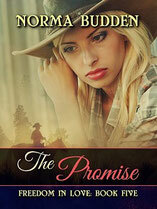 Could it be the agony she heard in his voice when she first heard him sobbing in the darkness? Jack Steele tugs at my heart strings. A former hitman, he has had his share of burdens to bear, each shaping him into the person he has become - but something is happening inside of his soul. Can he ever hope to find redemption? At last, I have to mention Hope. I fell in love with her character. 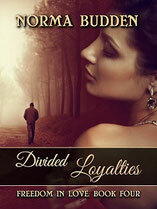 Welcomed by one brother but feeling shunned by the other, her heart was torn. Even so, she brought joy to my my and, other times, brought tears to my eyes at the heartfelt conversations she had with her father, Chase Travers. 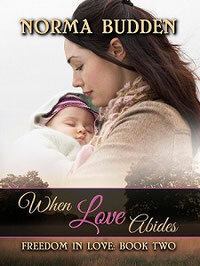 When Love Abides is sure to tug at your heartstrings. It will bring emotions to the surface which may surprise you, as it did me. 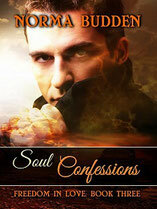 The characters are richly drawn and I continue to work with them, and others, in book three, Soul Confessions, to be released in 2014. If you would like to learn more about the book or would like to check out the reviews, please visit When Love Abides' page on Amazon. Click on the respective book cover to be taken to its page on Amazon.